Tough Problems? – Easy Solutions with Plastic Lumber! – Resco Plastics, Inc.
Tough Problems? – Easy Solutions with Plastic Lumber! Tough Problems? Easy Solutions with Plastic Lumber! semi-trucks and forklifts. Due to circumstances neither concrete nor blacktop could be used. For many years the only viable solution was lumber decking, which needed to be replaced at least once a year – truly a maintenance problem. In 1999 the decking was replaced with MAXiTUF plastic lumber in search for a longer lasting product. 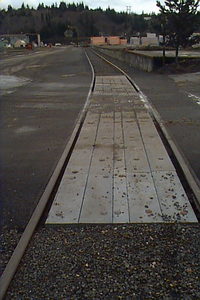 The picture below shows the new MAXiTUF decked RR crossing a few months after installation. The picture below was taken in 2001. 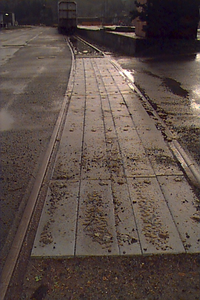 The plastic lumber boards look essentially the same as on the previous picture with the exeption of scratches, embedded gravel or sand particles especially in the most travelled areas of the rail road crossing. There are no cracks or other faults that would be detrimental to the application.